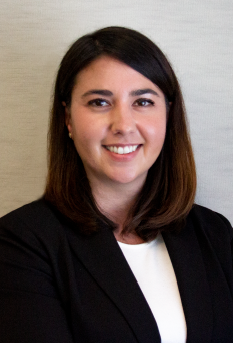 Ms. Sarah McKinin represents clients in federal labor and employment claims before the Equal Employment Opportunity Commission (EEOC), Office of Inspector General (OIG), Office of Special Counsel (OSC) and the Merit System Protection Board (MSPB). She is well-versed in the administrative and procedural processes involved in representing employees before federal agencies. Ms. McKinin’s practice focuses on Title VII, ADAAA and ADEA discrimination and harassment, EEO and whistleblower reprisal, and assisting federal employees in defending against proposed disciplinary and adverse actions. Prior to joining The Federal Practice Group, Ms. McKinin worked as an Associate at other D.C.-based law firms where she also concentrated on federal employment law matters. At these prior firms, Ms. McKinin achieved numerous case victories, to include a decision to reinstate a federal employee proposed for removal, reversal of a procedurally deficient Final Agency Decision (FAD), and six-figure whistleblower settlement. Phoebe O. v. National Reconnaissance Office, EEOC Appeal No. 0120161129 (Mar. 30, 2018) – The Office of Federal Operations vacated the National Reconnaissance Office’s procedurally deficient Final Agency Decision, which was issued after Ms. McKinin’s client had already timely submitted a valid hearing request. OFO ordered that Ms. McKinin’s client’s EEOC hearing request be remanded to the Hearings Unit for processing. Ms. McKinin achieved an EEOC bench decision wherein the administrative judge found in her client’s favor on the merits of all claims raised in the client’s complaint, to include an equal pay claim based upon gender, failure to promote/non-selection claim based upon gender, and forced early retirement based upon gender and EEO reprisal. Ms. McKinin succeeded in persuading a federal agency to rescind in its entirety its proposal to remove her client during the administrative reply opportunity procedure provided to federal employees pursuant to Chapter 75 of Title 5. Ms. McKinin achieved numerous beneficial settlements for her clients in 2018, a year in which federal settlements were complicated by several Executive Orders, to include, but not necessarily limited, an agreement allowing her client to resign in lieu of adverse removal with a monetary settlement and waiver of a notice of indebtedness; an agreement providing her client monetary compensation and a time-off award (annual leave); and an agreement providing her client a promotion. Ms. McKinin achieved numerous beneficial settlements for her clients in 2017, to include, but not necessarily limited, a six-figure Whistleblower settlement, which marks the second occasion that she has achieved this level of relief for a Whistleblower in her career; an agreement to rescind and remove a prior suspension with backpay, leave, and retirement payments provided to the client for the aforementioned suspension period, front pay, over 150 hours of leave, and reimbursement of attorneys fees; and an agreement to retroactively promote her client in grade and pay resulting in approximately $80,000 in backpay. Agnus L. v. U.S. Department of the Army, EEOC Appeal No. 0120161698 (Sept. 20, 2016) – Ms. McKinin achieved a favorable result for her client on appeal of Department of the Army’s Final Agency Decision dismissing her client’s pro se formal EEO complaint during the formal investigative stage of the EEO process. The Office of Federal Operations agreed with Ms. McKinin that each of the bases of dismissal proffered by the Department of Army were erroneous, and accordingly, rescinded the determination and remanded Ms. McKinin’s client’s EEO complaint for the proper adjudication. Ms. McKinin achieved numerous beneficial settlements for her clients in 2016, to include, but not necessarily limited to, agreement that the federal agency reinstate her client, who was removed during his probationary period, to his former position of record where the Agency failed to address her client’s reasonable accommodation needs prior to his removal.